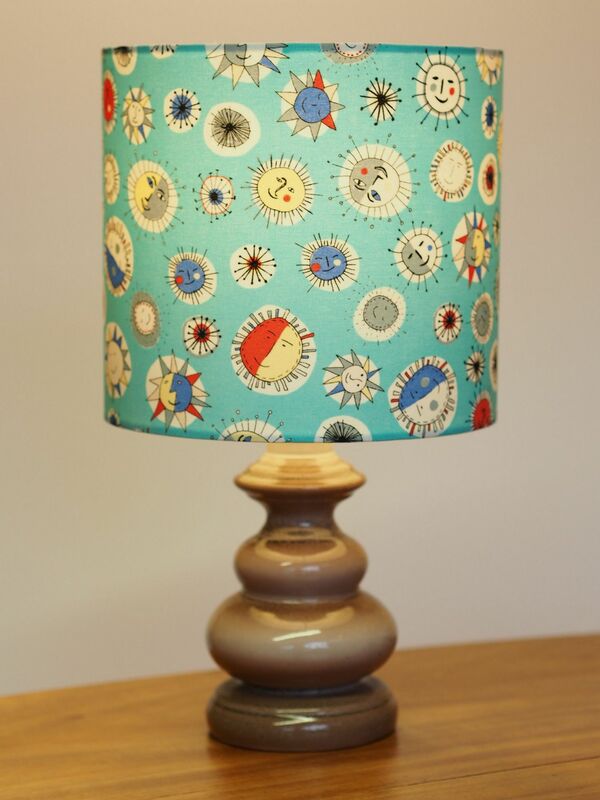 Lampshades made to order - or make your own! Lampshades can really make a room come alive and add the finishing touch to any design or decor scheme - particularly if the lampshades are unique to you, and chosen to complelemt your room and your tastes, rather than something bland from a chain store. 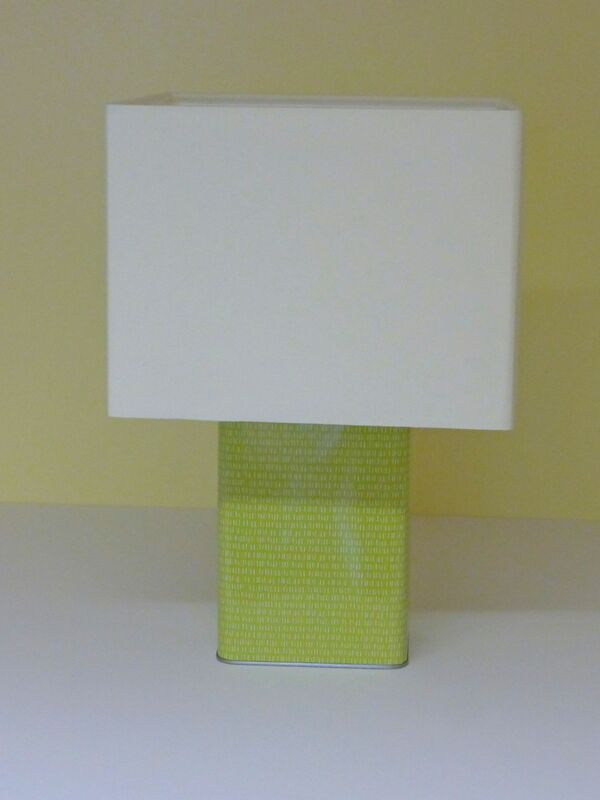 We make lampshades in a range of shapes and sizes; table lamps, standard lamps, ceiling lights, self-standing lamps for desk or floors, and wall lights. We make round ones, square ones, tall ones and short ones. We make to order from your own fabric or you can choose from our selection of nautically-themed cottons and linen-look fabrics. We usually make everything from new but can re-use existing frames if you have a particular size or shape that you want to keep - the small empire and square shades below are examples where customer frames have been refurbished. 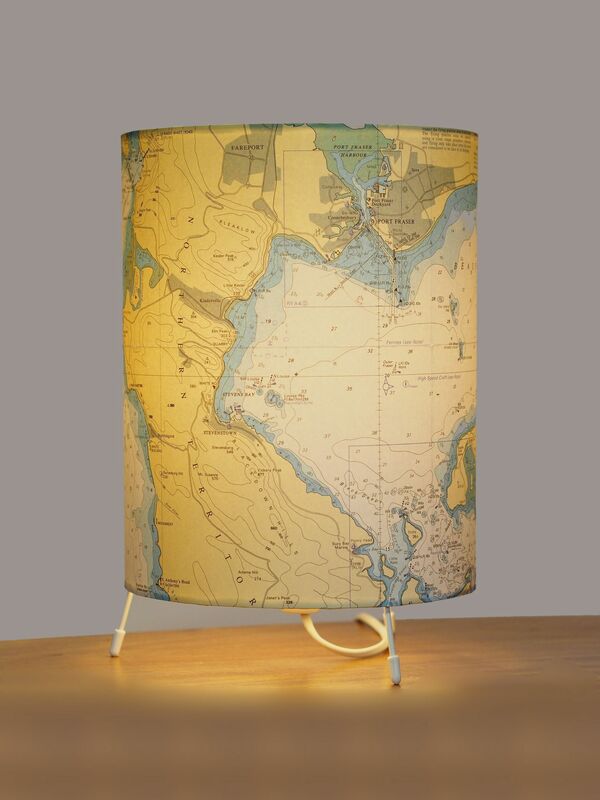 We can cover shades in things other than fabric - maps and charts, for example. We also run regular workshops where you can learn to make your own lapmshades. 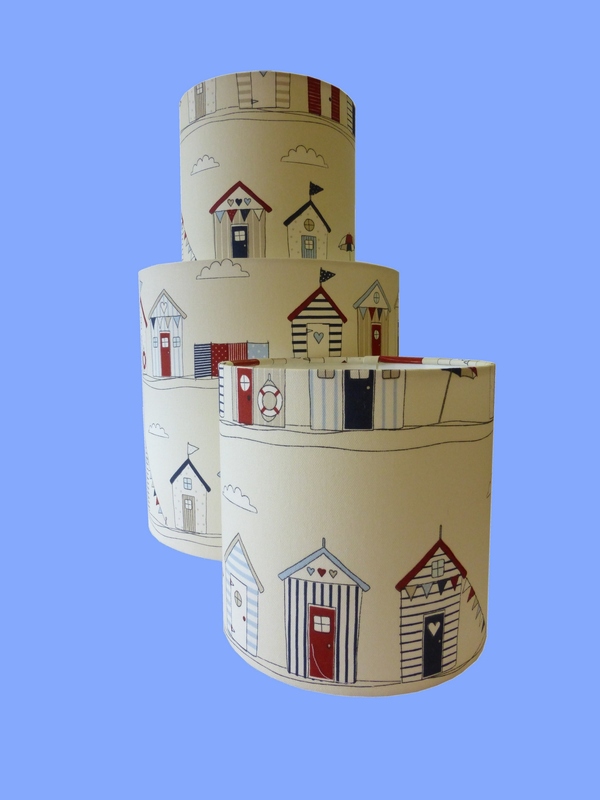 Our workshop for beginners starts you off with a 8" drum shade, with everything included apart from the fabric; you can either use your own or buy from our range of nautical-theme fabrics. We are happy to help you make a different size if you wish. You can treat someone to a workshop using our gift vouchers . 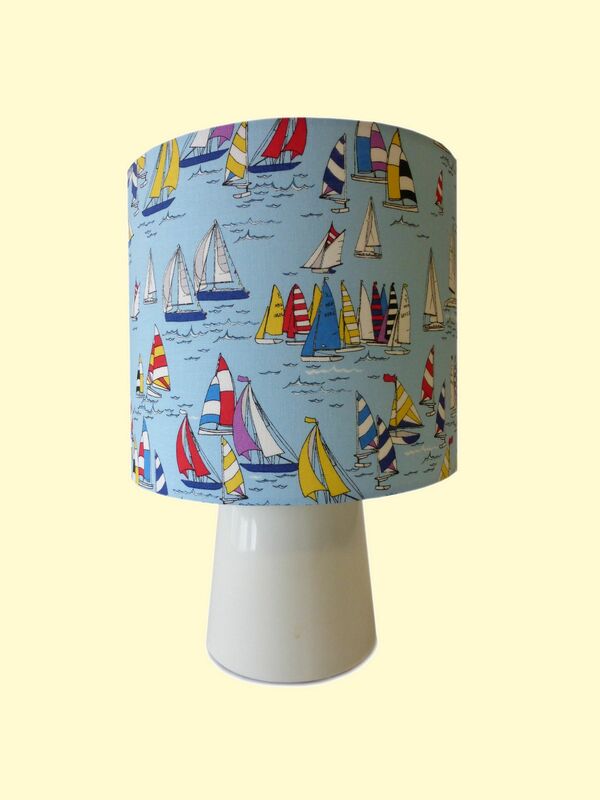 12 inch ceiling shade & matching 8 inch lamp shades in customer fabric 8 inch lamp shade, customer fabric 8 inch lamp shade, "Smiley" 8 inch lamp shade, "Boats"
Our most popular sizes are 8 - 10 - 12 and 14 inch diameter (20 - 35 cm) but both larger and smaller sizes are available. 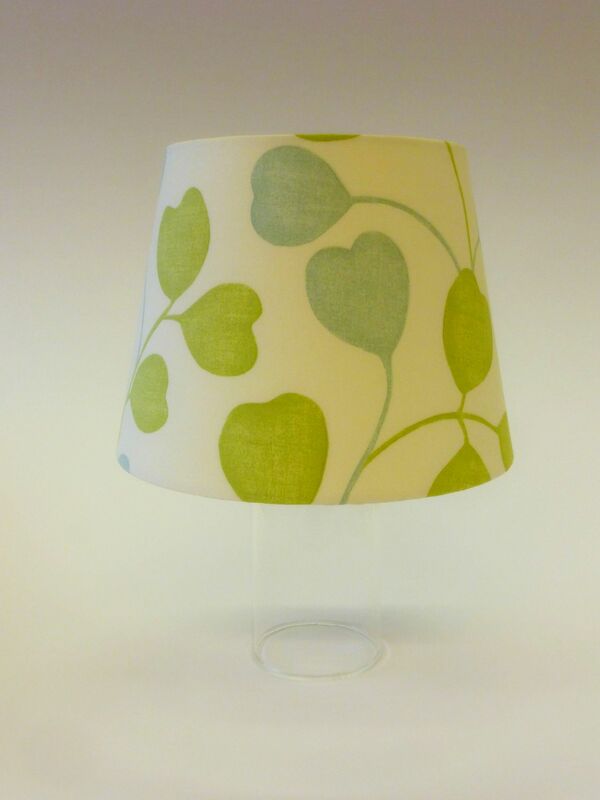 With the exception of fabrics, our lamp shade materials are all supplied from UK manufacturers. The backing material is specifically engineered for lamp shade making, and has passed the "glow wire" test carried out by the Lighting Association. Our lamp shades are therefore very safe and suitable for use with incandescent bulbs, although we always recommend the use of LED bulbs for both saftey and economy. 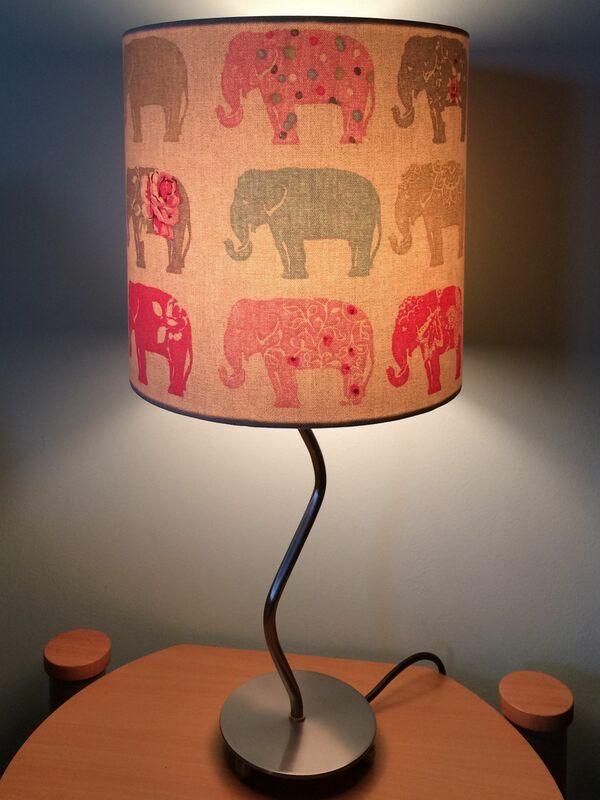 Prices vary with size and type, but as a general guide our made-to-order lamp shades start from just £20 plus fabric, which for small shades only adds about £4. 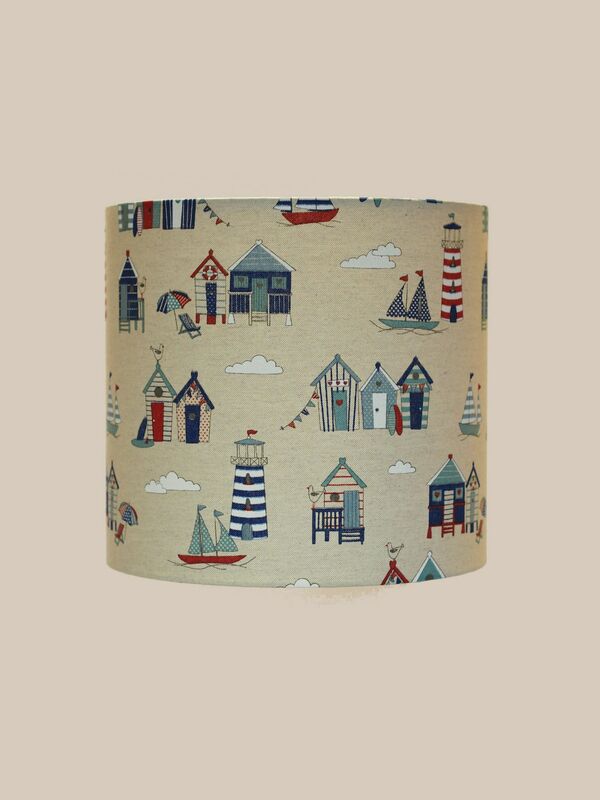 A 12 inch shade is £28 using your fabric, or around £32 complete, depending on fabric choice. All work is carried out in our Teignmouth workshop and can be safely despatched throughout the UK.